Taliban announces spring offensive amid Afghan peace talks ..
Security beefed up across the country following Sunday's series bombings in Sri Lanka ..
His Majesty, The King met DG of India’s Military Operations ..
China’s goods trade with B&R countries surpasses $6 trln .. Phase 2 of 2019 Lok Sabha elections: A test of alliance politics ..
PM Imran to leave for Iran on 21st April ..
With Indian help work resumes full steam on Maldives coastal radars ..
A new Maoist conflict in the making, in Nepal ..
No Pakistani soldier, citizen killed in air strike: Sushma ..
Indian Media is Spreading Fake News”: Sri Lankans outrage over reporting on bomb blasts ..
- Avari Hotel, Lahore 21 - 23 December, 2018. - Margala Motel, Islamabad 17 - 19 December, 2018. Vice President Council of Social Sciences (COSS). Honourable Federal Minister for Information, Broadcasting, National History and Literary Heritage. 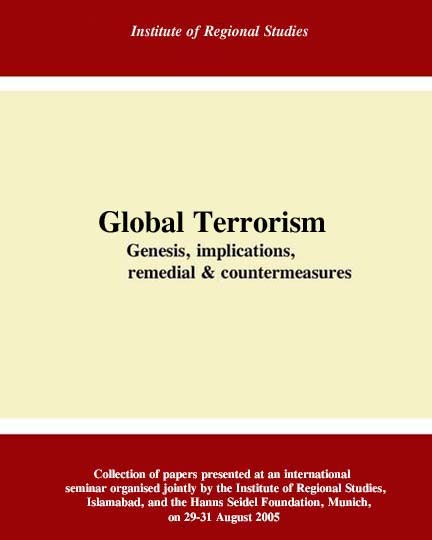 Dr. Marcia Hermansen, Director, the Islamic World Studies Programme, Theology Department, Loyola University, Chicago, US, has said that Islam is a religion of peace and permits Jihad only in defence and as a last resort .. 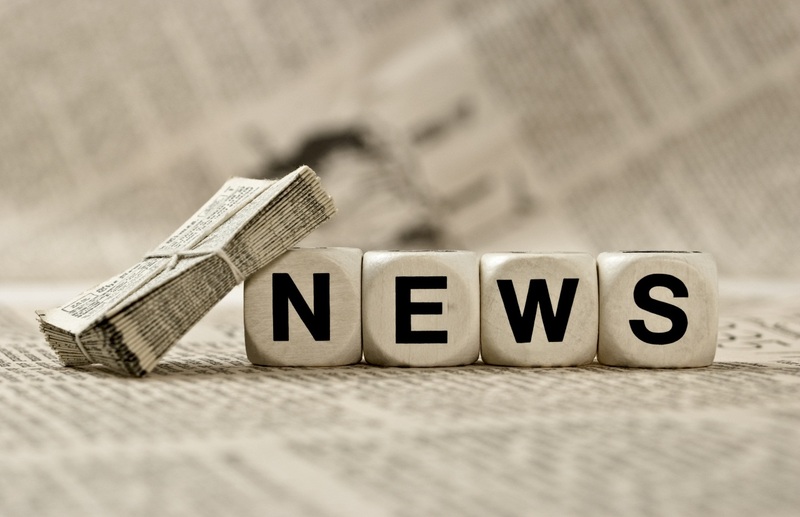 I - Foreign Affair Relations between India and China, in the context of the recent standoff between India and Pakistan post-Pulwama, has come under renewed discussion in Indian print media. Strategic analysts in India have urged their government to exercise strategic patience with regards to approaching China in the context of Beijing’s continued support to Pakistan, including on the issue of listing of Maulana Masood Azhar as a terrorist through the UN Security Council. 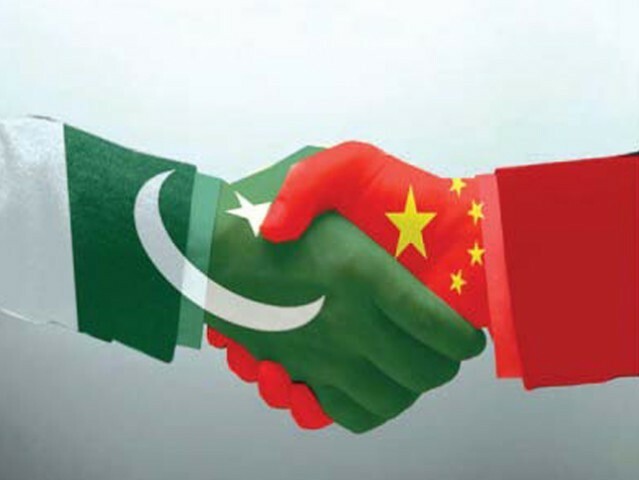 They have outlined the history of the cordial relations between Islamabad and Beijing, and how Beijing has extended diplomatic support to Pakistan in every crisis, including during the 1965, 1971, and 1999 wars. According to these analysts, bilateral relations between the two countries strengthened after India and the US signed a deal for civilian nuclear cooperation. Now Beijing counts on Pakistan’s support for access to the Indian Ocean, which is necessary for its energy security. It is in this context that experts have advised New Delhi to follow in the footsteps of Beijing, which has trodden cautiously in its interactions with the US in the context of the ongoing trade disputes. 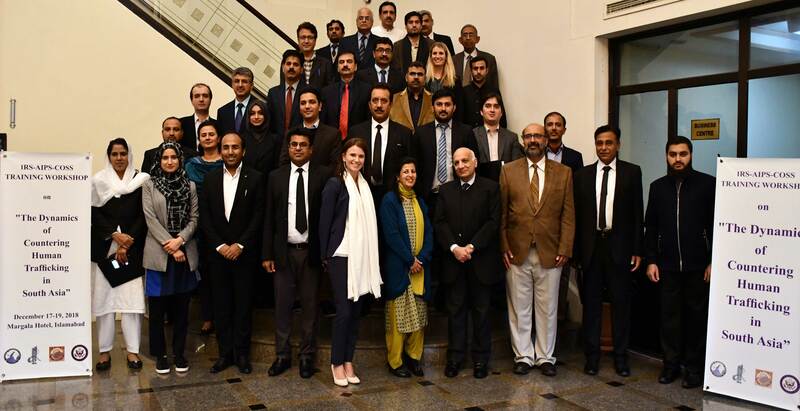 The Institute of Regional Studies (IRS) is an independent, non-profit research centre devoted to the study of the region around Pakistan: South Asia, Southwest Asia (Iran, Afghanistan and the Gulf), China, Central Asia as well as the Indian Ocean region. 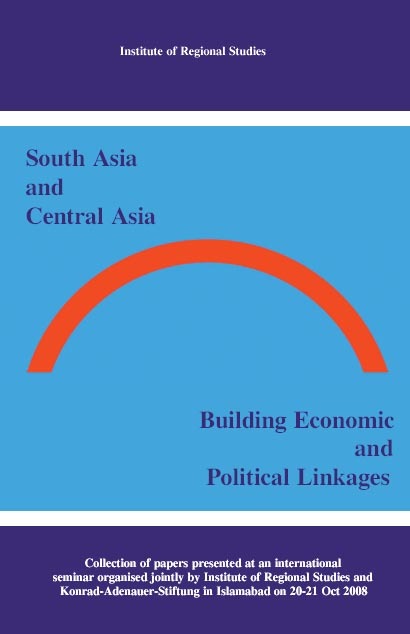 It also studies and analyses policies of major power centers towards South Asia. The Institute was set up in March 1982. It is considered one of Pakistan's leading think tanks. The Institute covers a wide spectrum of research in foreign and internal affairs, economy and industry, science and technology. A roundtable discussion on ‘Pakistan-India Relations’, chaired by Dr. Rukhsana Qamber, President IRS, was held at IRS on June 1, 2018. 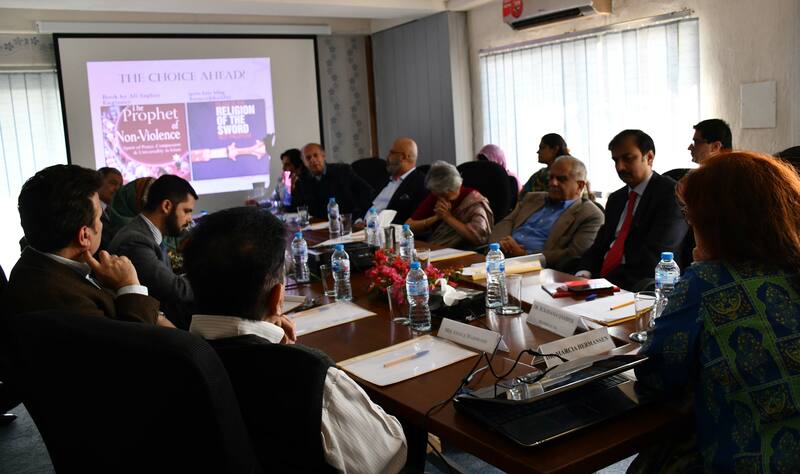 The roundtable featured a power point presentation prepared by Mr. Aarish U. Khan, Editor, into which other IRS scholars had also provided input. The presentation highlighted salient aspects of Pak-India relations including recent developments in Indian foreign relations, situation in Indian occupied Kashmir, latest developments in Pak-India relations, chances of resumption of bilateral peace process, and the upcoming 2019 general elections in India. Ocean economy planning has lately acquired urgency and spurred the concept of ‘Blue Economy’. Maritime countries like Bangladesh have evinced interest in it to safeguard and advance their oceanic destiny. Following successive international maritime verdicts (2012/2014) largely favourable to Bangladesh, it has embraced Blue Economy as a strategic approach to access the resources underneath its newly acquired oceanic possessions. However, concerns arise whether pertinent conceptual issues are appropriately appraised and managed; whether critical empirical issues are measured, and whether the actions for maritime planning currently underway represent the progression required to overcome the emerging ecosystemic threats or building of what is enshrined under the Blue Economy .. The prospects for peace between India and Pakistan further diminished after their relations entered into a new phase of antagonism in 2016. India stressed the issue of terrorism more forcefully as a principal irritant in bilateral relations after the Uri terrorist attack in Indian Held Kashmir (IHK) in September 2016. The growing gulf on core issues between the two countries and attaching peace with a one-point agenda has acted as a disincentive for the peace process ..
Indian nuclear policy has evolved over time through different phases of nuclear weapon development. This process has been slow but consistent. Prestige and technological factors, as well as domestic politics, have been the core drivers of Indian nuclear development along with security. These drivers have been operational during different phases of Indian nuclear development ..
Economic conditions play a vital role in determining the behaviours of individuals, as well as communities. Marvin Harris and Henry Hazlitt are major theorists who have shown that. Their theory is highly applicable, especially to South Asian literature, which is a reflection of postcolonial as well as trans-cultural societies .. The attack by terrorists of the Balochistan Liberation Army (BLA) on the Chinese Consulate in Karachi on 23 September 2018 represents a sign of hostility from numerous external actors toward the welfare of Pakistan. It is important to note that the BLA is a terrorist organization whose leaders have openly attended talks in India in the past and which, despite frequent targeting of innocent civilians as its victims, finds refuge in European states such as the UK and Switzerland. Sources have also stated that a famous BLA commander affiliated with the attackers is being treated medically in India. 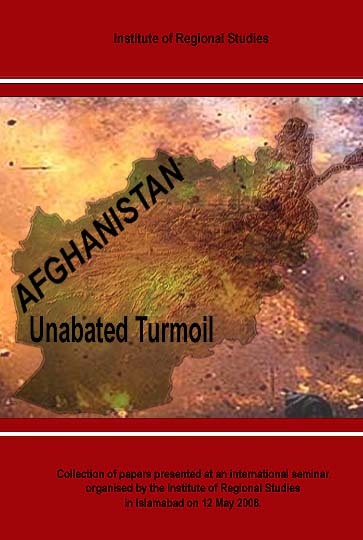 The US-backed Kabul regime is also complicit in supporting such anti-Pakistan terrorists. A fortnightly publication comprising selected clippings from the regional newspapers and periodicals, arranged subject-wise under five main heads. 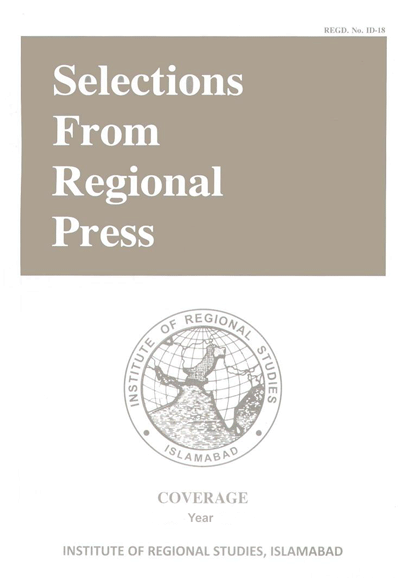 Regional Studies is quarterly journal published by the Institute of Regional Studies. It is also Higher Education Commission . .